It’s that time of year when all of the festivities and parties begin. Whether it’s Thanksgiving, Christmas…family, friends or co workers…there will be parties! Whether you are having guests at your house or bringing a side dish to someone else’s, it is super easy to plan ahead so that you aren’t just throwing something together at the last minute. 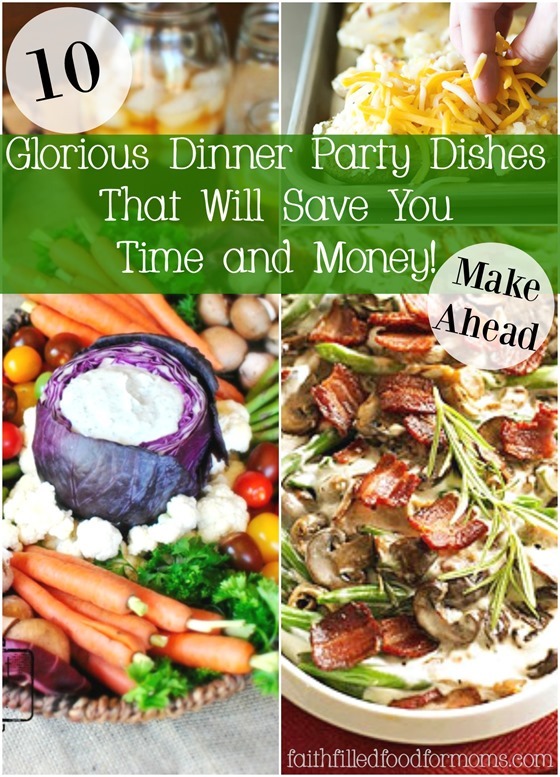 I’m going to show you 10 glorious dinner party dishes that will save you time, money and a headache! These are super easy and some can even be frozen ahead of time. 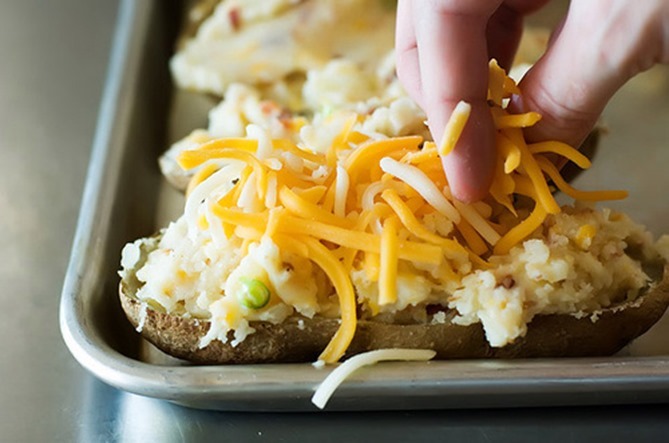 Twice Baked Potatoes are so super easy to make AND can be frozen ahead of time. I make them all the time but don’t have the recipe or instructions on my site, so if you want a super simple recipe hop on over to our ever loving Pioneer Woman. 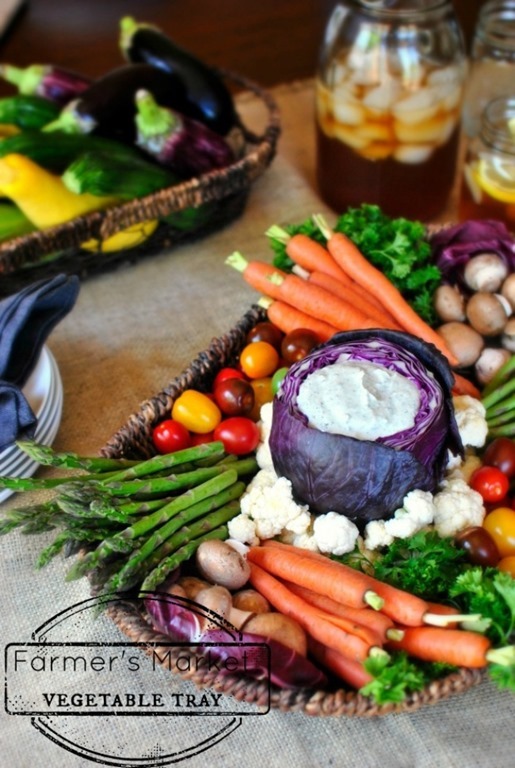 Vegetable Plates can be made up ahead of time. You can either wash and cut up all of the ingredients and bag them up for a quick put together the day of your celebration or you can make the tray a couple days ahead of time. Be sure wrap tightly though. I would not put cucumbers on the plate until the last minute. See how the Cabbage is hollowed out and dip is in the center? You can totally hollow out a few days ahead of time so that you are ready to add your dip! Most veggies can be cut ahead of time! Think of the packaged salads that are in the grocery stores! These are my time saving tips for a quick salad side. Veggies you can’t cut ahead of time and should be added the day of party ~ cucumbers, tomatoes (cut), peppers (they make the salad too strong if with other ingredients for days) same with green onions. For the veggies that can be cut ahead of time and tossed together, make sure that all of the ingredients are mostly dry. Like after you wash the lettuce, dry it…and so forth. Make your dips ahead of time! 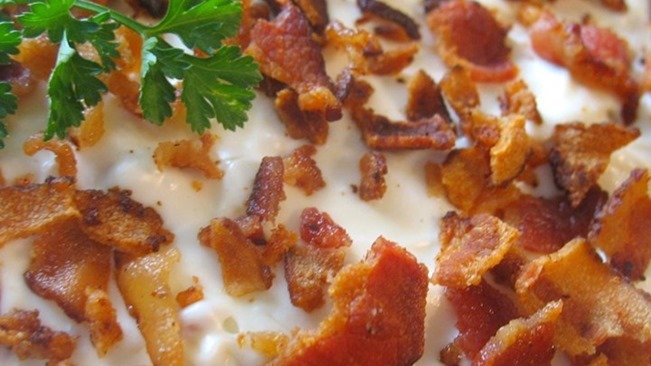 Here’s a deelish recipe for Bacon Cheese Dip from Allrecipes. There are tons of casseroles that can be made ahead of time. 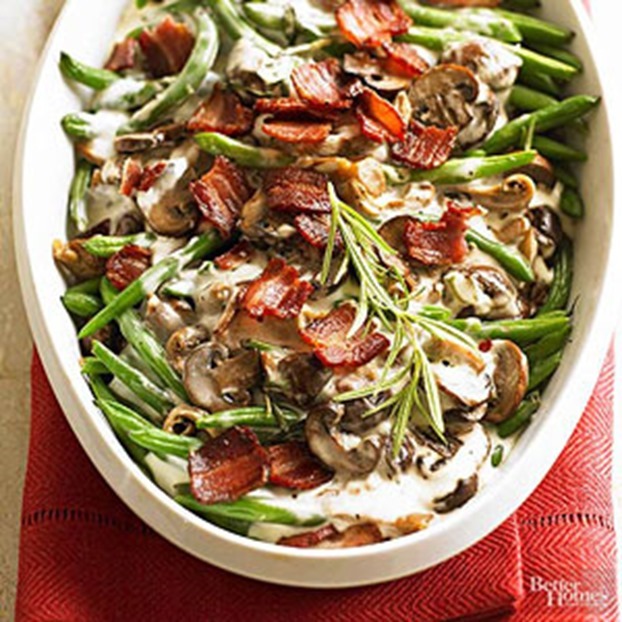 An all time favorite for many is green bean casserole. Yep! You can make ahead a couple of days. Just don’t add toppings until the day of serving. 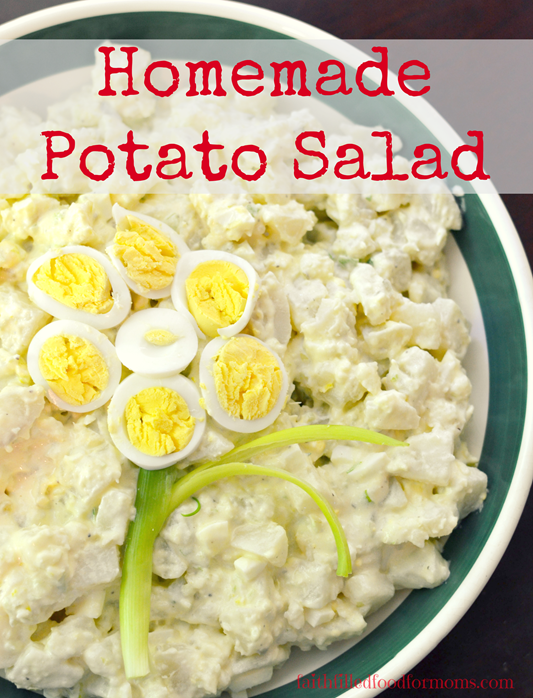 Potato Salad is always better when it’s sat a day or so! It gives the ingredients a chance to meld together! YUM! 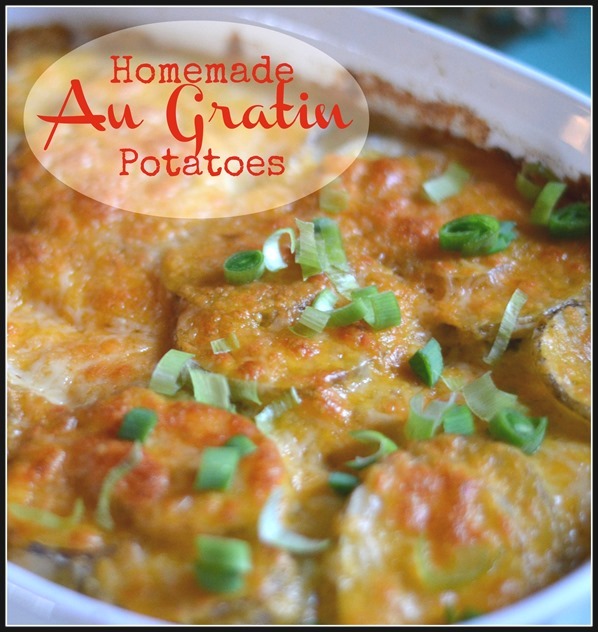 Au Gratin Potatoes can be sort of made ahead. It’s the potatoes that take time to peel and slice..unless of course you are like me and leave the peel on. Still any time I can save the day of a gathering its worth it to me. Simply slice your potatoes and then put them in a bowl of water to cover all of the potatoes and refrigerate. Then you are ready to simply add all the ingredients and pop into the oven the day of your gathering. Most rice dishes can be made the day before. Before you reheat, add some water to re moisturize…not too much though or the rice will become soggy. 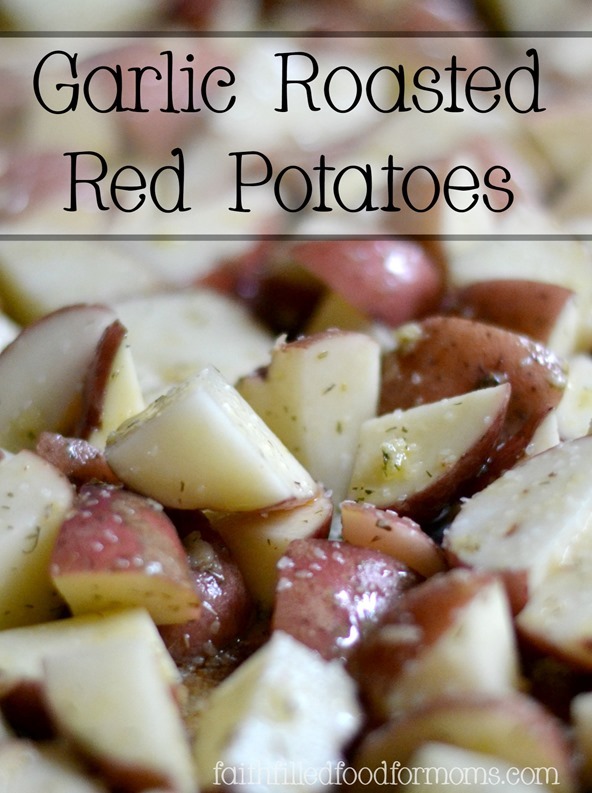 Roasted Red Potatoes ~ This simple side dish can be roasted a day or two ahead. To re heat make sure you cover with foil so they do not burn. 350 degrees…15 min. 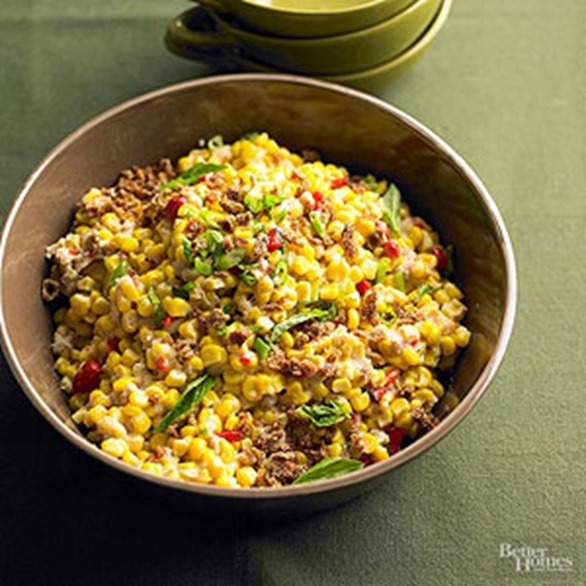 Skillet Corn can totally be made ahead of time and kept a day or two in advance. 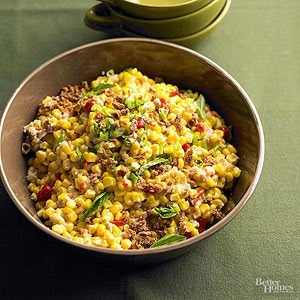 For this yummy recipe…don’t add Crackers until the day of serving. I super LOVE appetizers sooo hear are a few that can be made ahead of time! YUM! 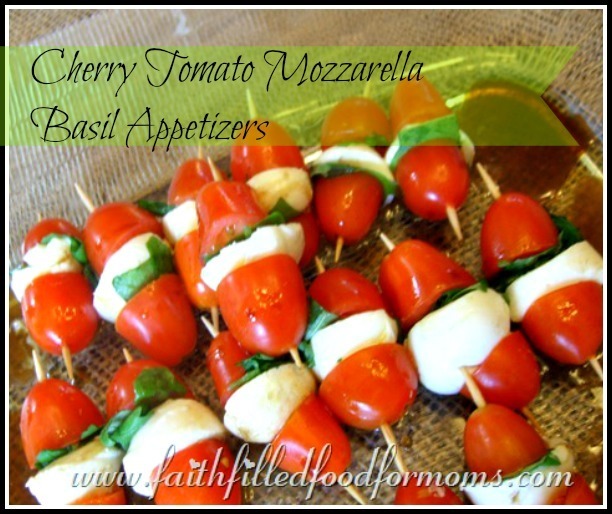 Cherry Tomato Mozzarella and Basil Appetizer ~ Basil is not too strong of an herb, so these cute and yummy little guys can be made at least the day before. 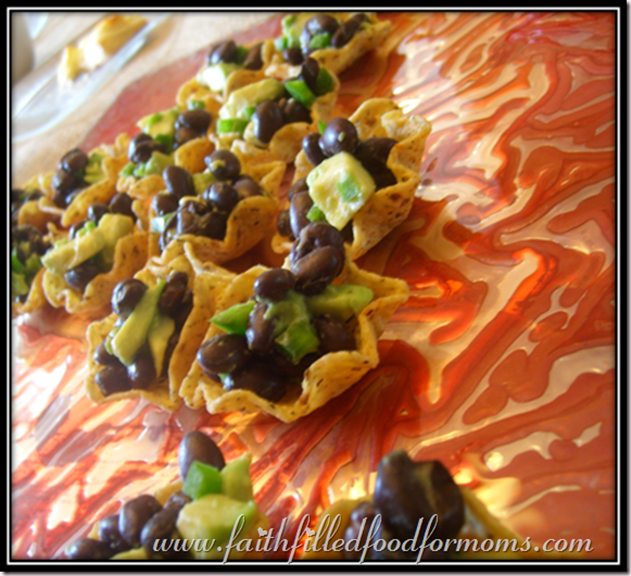 Spicy Black Bean and Avocado Appetizer ~ mix up the filling a day ahead of serving time. Add a little lemon juice (about a tablespoon) to the mix so that your Avocado doesn’t turn brown. I don’t know about you, but I want to enjoy my party and company as much as possible these days, so whatever I can do ahead of time…I DO! Need a little more help planning for the holidays? 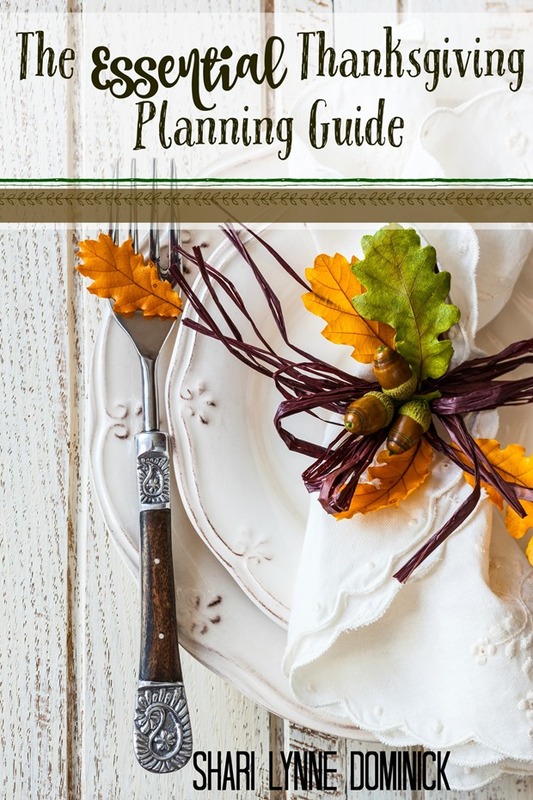 Download this free PDF copy of The Essential Thanksgiving Planning Guide. With printable lists to help the holidays go smoother. Gorgeous photos and great party ideas. Found you at Pretty Pintastic Party and hope you’ll linkup with our Small Victories Sunday Linkup too! I love that idea too Ann! So pretty and useful all at the same time. Thank you for stopping by and I will try to remember your link partay!